Wakefield… Holidays are coming and WE ARE BACK! With the success of our SELL OUT 8th Birthday Reunion in March and part 2 in July this year we have decided we are going to return for one final time in 2018 with our infamous Christmas Special Party! 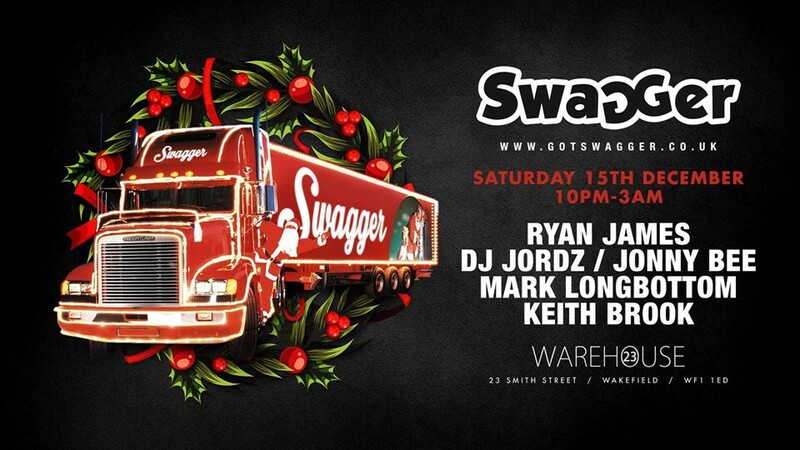 Saturday 15th December we take over Warehouse 23 (Wakefield) with our all-star Swagger residents to supply the signature Swagger Classics! Good music, good crowd, no nonsense, festive partying!